A food fermentation workshop hosted by Stephen F. Austin State University's SFA Gardens and led by Dr. Darla O'Dwyer, SFA associate professor of human sciences, will take place from 9 a.m. to noon Saturday, Feb. 3, at the Brundrett Conservation Education Building. Advanced registration is required. NACOGDOCHES, Texas - Discover the benefits of fermented foods and how to create them with a workshop hosted by Stephen F. Austin State University's SFA Gardens and led by Dr. Darla O'Dwyer, SFA associate professor of human sciences, from 9 a.m. to noon Saturday, Feb. 3, at the Brundrett Conservation Education Building. "You will be surprised at how easy fermentation can be," O'Dwyer said. "Sauerkraut will be prepared during the workshop and participants will take home sauerkraut to enjoy along with the fermentation vessel provided. Other fermented foods will be available for tasting with recipes provided." O'Dwyer has been a registered dietitian nutritionist since 1996. 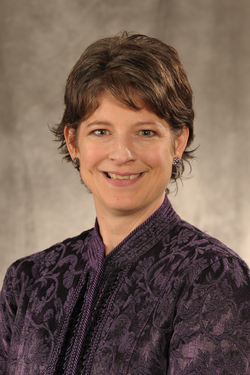 Prior to joining the SFA faculty in 2003, she was a clinical dietitian who practiced in pediatric and neonatal critical care at a large teaching hospital in West Texas. She graduated with a doctoral degree from Texas Tech University in 2003 and is currently serving as the dietetic internship director and coordinator for the food, nutrition and dietetics program at SFA. O'Dwyer's research interests include gastrointestinal nutrition, focusing on the role of the microbiome in health and disease. She was certified in functional medicine in 2015 and believes in discovering the root cause of illness through investigating a person's gastrointestinal health, lifestyle, genetics and environment. She also owns a nutrition consulting business and works with an integrative physician, focusing on gastrointestinal and autoimmune disorders. Space for the food fermentation workshop is limited, so advanced registration is required. The cost is $40 for SFA Gardens members and $45 for non-members.